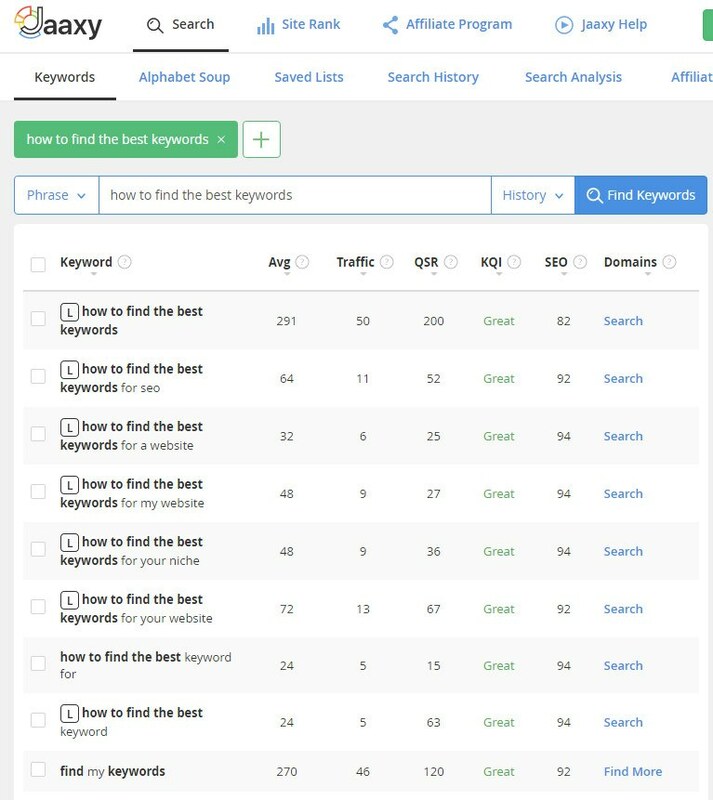 In this post, I am going to show you how to find the best keywords! Finding the best keywords is a key component in driving traffic to your website. I have a certain system and certain tools that I use for finding the best keywords. With time and experience, you will develop your own process and your own system. I learned from the experts who are making a lucrative full time income on-line. So, let’s get started. This is what I suggest. This process is very simple but it is also very important. In a very short time, you will be finding the very best keywords like a pro! Most all of us have access to Google. I like to use Google to first gather ideas on what is being searched. Let me show you what I do. First of all, think of a topic that you would like to write about. 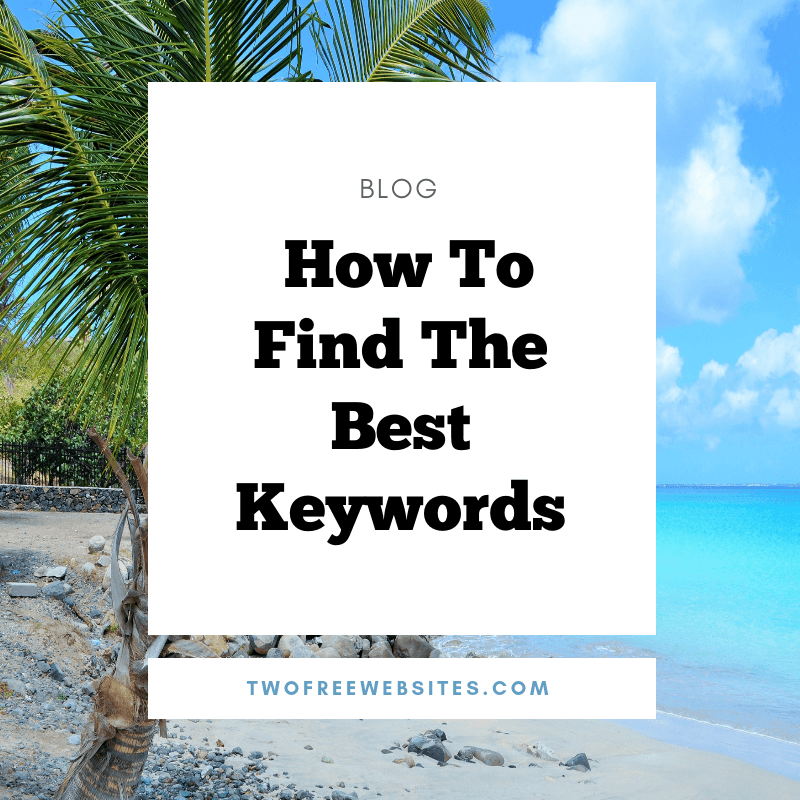 For this Blog post, I chose How to Find the Best Keywords. So, next, I will type that in the Google address bar and it will bring up a list of ideas to start with. See below to see what this looks like. When you type in this term, a list will come up below if with ideas. From looking at the list above it looks like all of these are good keywords for my post. It is possible to rank for multiple keywords within one post which would be the ideal goal. 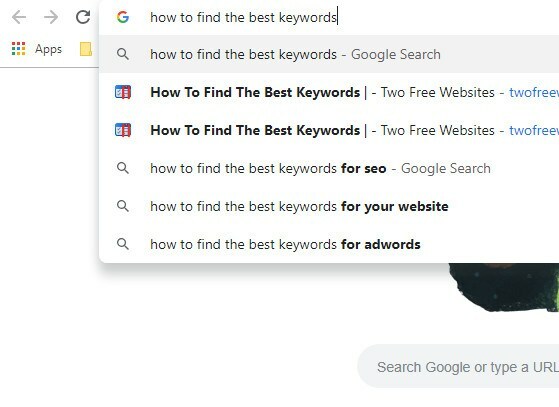 How to find the best keywords, how to find the best keywords for SEO, how to find the best keywords for your website and how to find the best keywords for adwords all appear to be great keywords. Now that we have some ideas of what we would our keywords to be, it is time to do some further research. I like to call this part my scientific research because I am gathering the facts. I like to gather my keyword facts using JAAXY which is the best keyword information tool that I have found. Get your Free JAAXY account here! When you first click on the link above, it will look like this. From this point, you can fill in your name and click Create a starter account or click the Sign-up button and choose the Starter Trial account option. This option will let you get a good taste of JAAXY and it also gives you 30 keyword searches. I am using the PRO account which is $49 per month. It is well worth it for me. But you can certainly use the free account to figure out how useful JAAXY is for you. Once you log into JAAXY, you can click on the Search option which is where you will enter your possible keywords and gather the scientific information. Below is what it will look like. You will see that I typed in how to find the best keywords which are the keywords that I used for this post. JAAXY will pull up variations of that keyword. Below is an explanation of the information that is displayed in JAAXY on each keyword. This will be information that you will use to decide which keywords are the best keywords to use with the highest traffic. Avg The Average number of searches that this keyword receives per month. Traffic Visits to your website if you achieve first page rankings in the search engines. QSR Quoted Search Results – The number of competing websites in the search engines for these exact keywords. KQI Key Quality Indicator – Green is great; Yellow is ok; Red is poor. You should target keywords with a QSR of less than 300 and this will give you the best opportunity for ranking. As mentioned above, the QSR is the number of websites competing for the specific keyword. Now, you are ready to write your Blog Post with your targeted keywords. You are informed and you know how much traffic your keywords will get when ranked on page one of Google. You also know what your competition is. Knowledge is power so this gives you power. When you start your new Blog Post, it is very important to remember to include your targeted keywords in the Blog Post title. Also incorporate your targeted keywords in the first paragraph of your Blog Post. I have done both suggestions in the post that you are reading right now. Try to make all of your Blog Posts at least 1k words or more. This will help with your rankings. At first, it may seem difficult to write 1k words or more on your post. But as with everything, practice makes perfect. Before you know it, 1k words per post will flow right out of you. Focus on sharing and showing instead of telling. You are sharing with people information in your own special way in a way that only you can do it. That means a lot! Follow these tips and guidelines and you will well on your way to writing great SEO posts and on your way to running your own on-line business. Driving traffic to a website is both an art and a science and that is why I love it so much. It challenges both sides of my brain. Below is some additional information that will help you ion your journey. I want to help you on your journey to achieving your dreams as I am also achieving mine. I will share my useful tips with you along the way. If you have any questions or comments, please post them below. I respond to all of my comments on a daily basis. I love hearing from you. LIVE YOUR BEST LIFE AND DON’T STOP! LOVE YOU ALL!